Healthy, Abundant, and Wise - Welcome Authors! Live in a Space of Abundance Every Day. For some of us, it takes years to come to a place of ease, and we must struggle through circumstances we wouldn’t wish on anyone before we come to what we knew in our hearts was possible all along. For others there is a pivotal moment, a shift in perception, or a dramatic, perhaps painful event that forever changes them. When one has lived it, they feel compelled to share their newfound knowing with others—that is true of the authors is this book. I give Powerful You! Inc. permission to send me email about new products, services and special offers. These incredible individuals have discovered a way to live that feels good to them, serves a higher purpose, and feeds their spirits. They share their transformations to benefit and assist others, and to light the way with encouragement and love from a place of newfound and deep wisdom, and as you read their stories you’ll be filled with encouragement, inspiration, and hope. 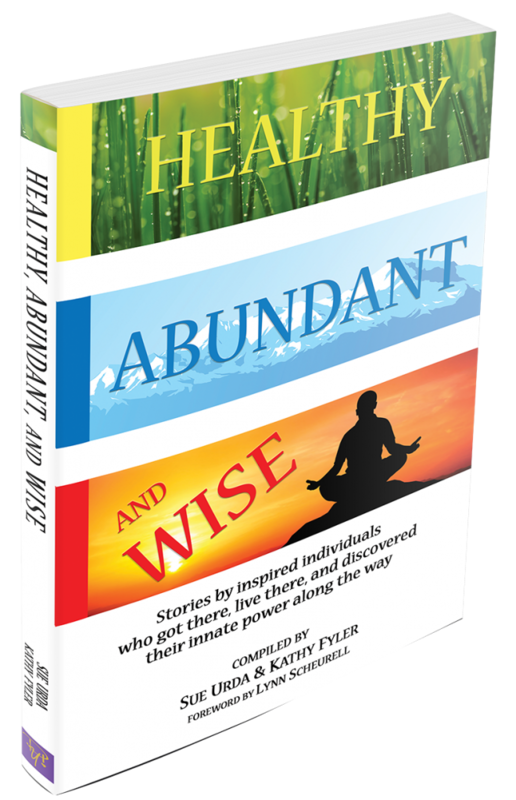 Healthy, Abundant, and Wise is a collection of stories that reflect the emotions, decision-points, and transformations familiar and personal to each of us. These stories are a gift of wisdom from the authors to you.